← The “real” Queensryche — new song samples, new trailer! Now this… This I need to hear. I read Blake in high school, loved it. Cheap on Amazon with bonus tracks…maybe Santa LeBrain needs to look into that. Hohoho Santa LeBrain! He’s a lucky Santa, since he definitely comes more than once a year. [See what I did there? ‘Cos Santa LeBrain has already given me music this year. So then I made it into a sexual joke and… sigh if I have to explain it, it’s just not so funny anymore]. No, quite alright, I got it! This is a stupendous album. Can’t say much more than that! I always thought the Killing Floor was more of “triumph over Satan” kind of thing. Actually, while promoting the album, Bruce did appear on a program in the UK talking about his religious beliefs! It showed some clips of the Killing Floor video during it. It wasn’t a particularly startling interview though. I remember he was a bit wishy-washy, possibly playing down his opinions for fear of alienating any of his fan-base. I thought it was odd that he appeared on it at all! I couldn’t remember what that program was called but I did a bit of digging. It was called “Faith and Music” and it seems to be on the youtubes if you want to watch. I really can’t remember that much about it now so I might have another look myself. Sure I’ll check it out. Thanks man! The album (and many Maiden songs too) has religious themes so I’m curious what he had to say. I’m sure something like For the Greater Good of God stirred some teacups too. Another great review, Mike. 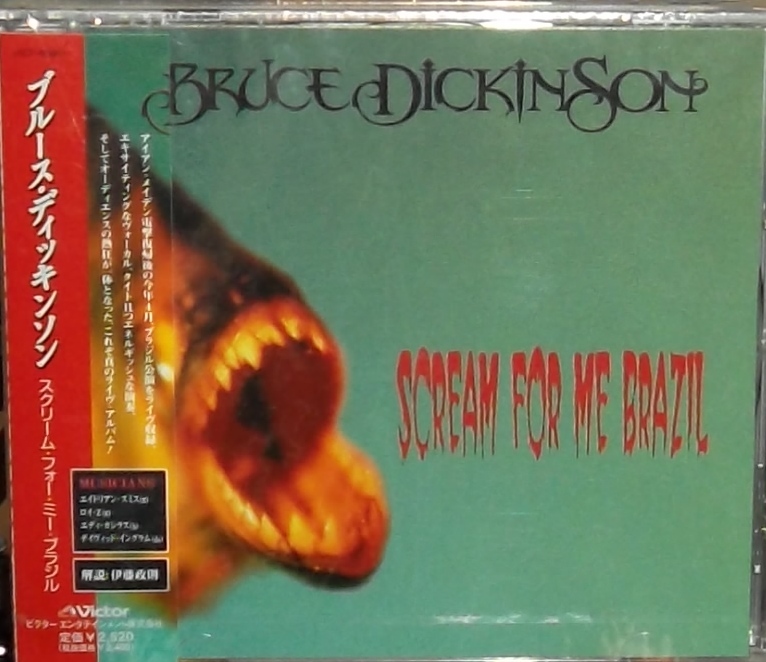 I completely agree that this is the pinnacle of Bruce’s solo career. 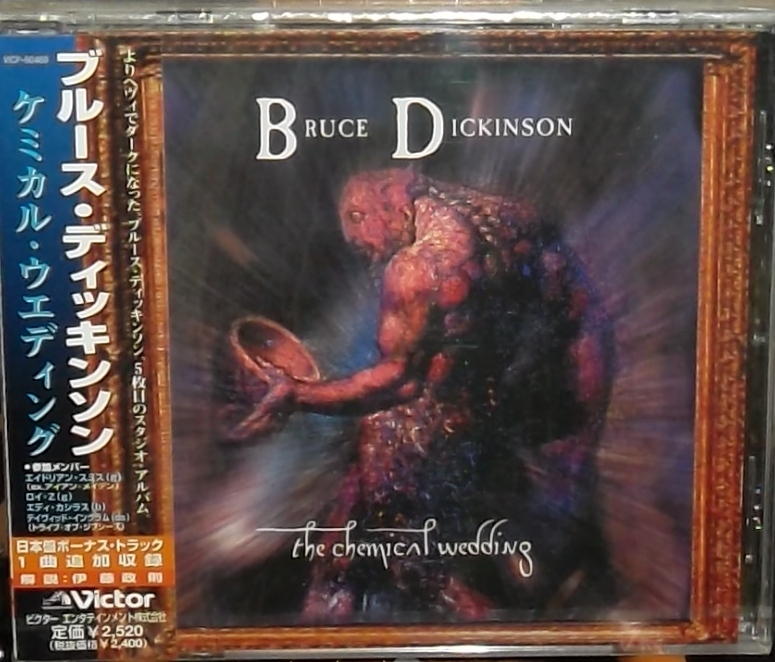 I still can’t remember if I got this before or after Accident Of Birth, but Chemical Wedding is the album I would use to convince my Maiden-fan friends to delve into Bruce’s solo work. I think I had one convert. The rest never even gave it a listen. 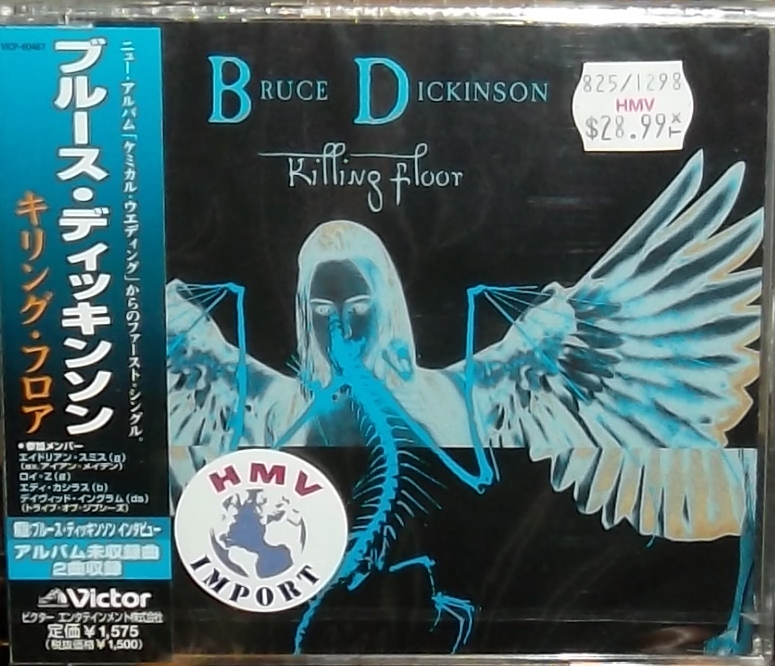 I’m curious to read your take on the Maiden albums released after Bruce returned. I’m not an expert on any of them, but I’ve heard them all at least 2-3 times so I know what I like and dislike about them. Well Rich I haven’t got there yet, but I think this one is tied for me, with Tyranny of Souls. I can’t wait to talk about that album. I love it. Much like Accident of Birth it’s loaded with sci-fi lyrics that would have made Isaac Asimov and Arthur C. Clark proud, I think. Great album. Can’t wait to get there. As for post reunion Maiden, that is a big challenge. I like all the albums quite a bit but to put them into perspective with the past is difficult. 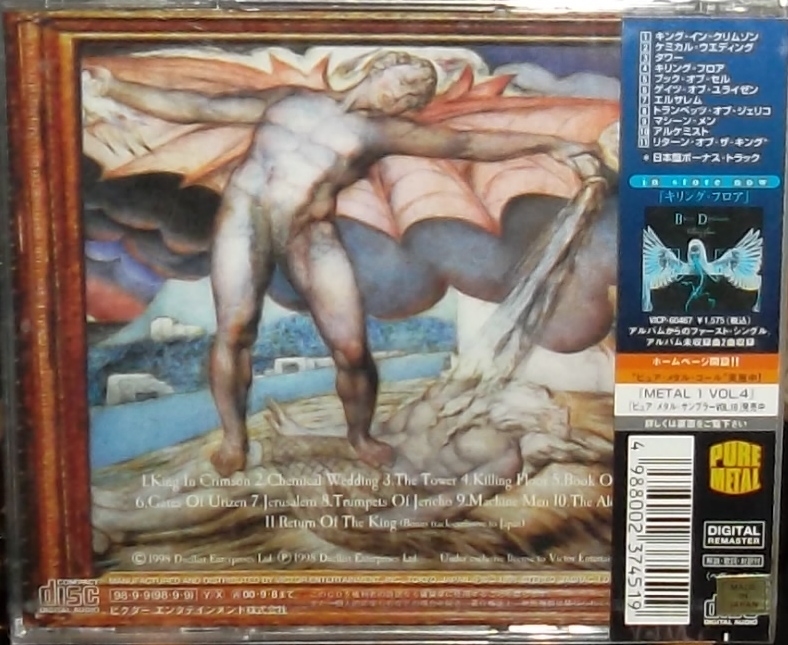 I will say this: I consider A Matter of Life and Death to be among Maiden’s greatest works of all time. Since it came out in 2006 it’s been the one I play most often. I haven’t listened to “Tyranny Of Souls” enough to give an adequate appraisal, so I look forward to your review. Hopefully it’ll inspire me to take it off the shelf and give it a spin. My impression of the post-reunion Maiden albums is that there’s a lot of great music…and I’m glad they’ve embraced their prog rock tendencies for conceptual ideas and long songs…but I found that a lot of the songs, especially the long ones, become repetitive…unlike “Rime Of The Ancient Mariner.” In some ways it’s almost better to listen to those albums separately, and not immediately after the classic albums, but I’m eager to read your impressions on them. Rich, sounds from what you just said that we’re on the same page with a lot of those albums! We’ll be resuming the Maiden reviews in a few days. This is Bruce making everyone forget about Iron Maiden and than a few yrs later making everyone remember Iron Maiden! 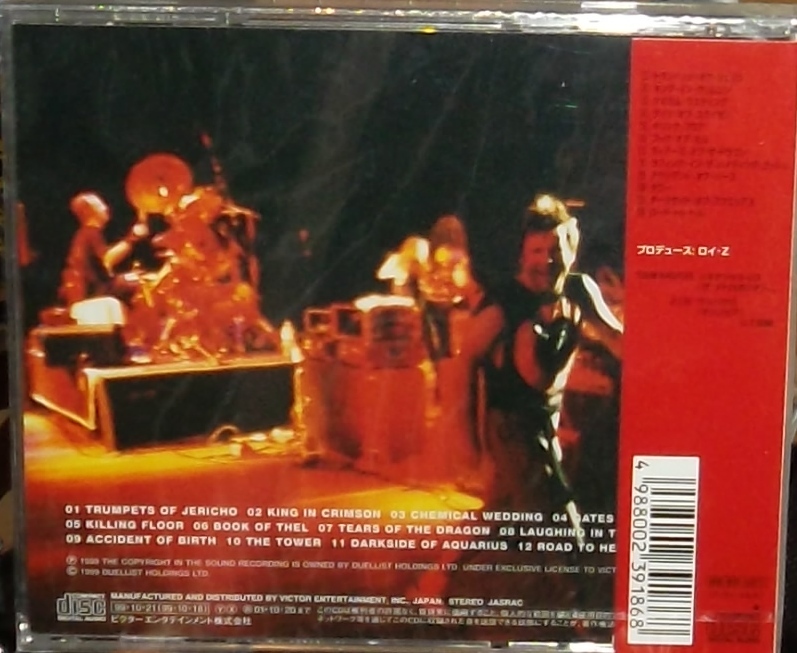 Thru and thru a classic…..cracking band as well…great album…. Agreed. Can’t really put it any better than that.